Most likely the biggest news in film photography, even bigger than Fujifilm announcing the demise of their peel apart pack film is the announcement of a new film stock. 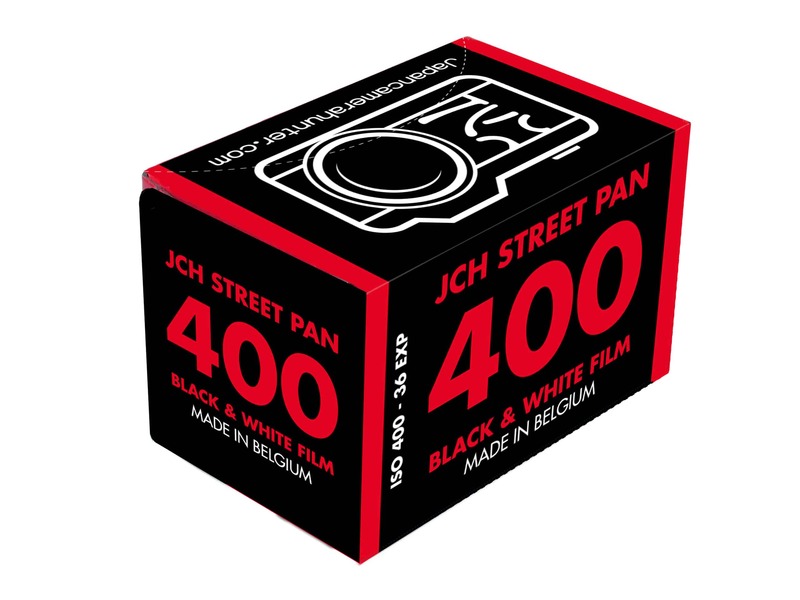 Bellamy Hunt of Japan Camera Hunter has announced that he is releasing a JCH branded film called JCH Streetpan 400. It is a re-introduction of an old discontinued Agfa surveillance film and by the looks of it, it is a wonderful film with great contrast and grain. Bellamy has taken a different tact to the now common Kickstarter by instead taking pre-orders of 10 roll bricks at 9750 yen ($87.95 USD, $113.71 CDN). Proposed price for single rolls down the road, depending on demand, is approximately 975 yen ($8.80 USD, $11.37 CDN). For more information on this awesome news, click on the picture above. Now you’re probably asking isn’t it expensive to shoot film? My answer is, it depends. The cost of shooting depends on several factors, price of the equipment you get, price of film, and price of developing and printing or scanning. It is very possible to get a camera, shoot 52 24 exposure rolls of film in a year (that’s 1248 shots in a year), and develop and scan/print for less than a full frame DSLR, mirrorless or compact digital camera. That of course depends on how much you shoot. if you’re going to fire off a couple of thousand shots in a month then digital is cheaper, but if you’re the casual shooter you could pay less in 2 to 4 years that the equivalent full frame digital camera. Starting with an consumer SLR, a Minolta XG1, with two lenses, vs a professional SLR with a lens, the Canon EOS 1V, vs. a “prosumer” DSLR with 1 lens, a Nikon D610, and two professional DSLRs, a Nikon D810 with a lens, and Canon 5D Mk III with a lens, vs. a mirrorless camera, Sony A7 II with a lens. All prices are in Canadian dollars, Source for the DSLRs and mirrorless cameras was Henrys.com and the film cameras was Ebay. So first I will start with the price of film and developing (with printing or scanning) based on prices that I pay. First Walmart Canada sells 24 exposure Kodak UltraMax 400 in three packs for $14.95, they also sell Kodak Gold 200 in three packs but for these comparisons I’ll use the UltraMax. 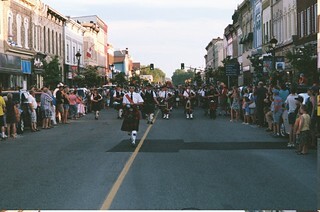 I get my film developed at Foto Art in Owen Sound Ontario Canada. Currently they will develop and print or scan a 24 exposures for around $13.00. For ease of math I will base the prices on someone shooting 54 rolls for the year. Film cost for the year is $304.08 and developing is $702.00, making a total of 1006.08 for 1 year. For two years of shooting the film costs run around $2012.16, four years is around $4024.32. These prices include taxes appropriate for Ontario. Next we have the camera prices, these prices don’t include taxes and the Ebay prices only include shipping, not any extra duties or taxes. Next, if you want the quality of full frame but in a compact package, you’ll want a compact camera. For this I’ll put the Contax T2 up against the Sony RX19 II as they are similar. In conclusion, while the total cost of camera and film and processing can exceed the cost of a digital camera within 2+ years it must be remembered that that cost is spread out over time where the digital camera has to be paid out in one lump sum. Also remember that with digital the manufacturers keep coming out with newer cameras with better image quality, often every year, while you can be sure with any film camera that the quality will be pretty much consistent depending on which film you use. Digital cameras often don’t have a long life expectancy, especially the entry level DSLRs. The main advantage for getting a film camera is that the cost of ownership is spread out in manageable chunks instead of a single amount. As well, you can often find excellent film cameras for a lot less than what I quoted above. I had seen a Yashica SLR with 3 lenses at a yard sale for $35.00 but at the time didn’t have the money. The film cost can also be less if you don’t shoot a lot of rolls in a year. You also may be able to find a better price for film or developing. Walmart Canada used to develop and scan or print film for $5.00, they no longer do film. If you really want the advantages and quality of “full frame” but can’t afford the initial outlay for a full frame camera, you can’t go wrong with a decent film camera. Now I hear you saying “all that stuff you said in Why Shoot Film is all well and good, but it must be expensive.” Well actually, it isn’t as expensive as you might think. First thing to remember, like you hear a lot of other photographers saying “it’s not about the gear.” When you first start out in film you don’t need to go out and get a fancy rangefinder or SLR or even a top of the like compact. Find something simple to use that allows you to concentrate on learning how to load the film and then compose an shoot without worrying about stuff like shutter speed, focus, or aperture. That said you will find you can get some really nice gear, often for less then a mid-range compact digital or entry-level DSLR. While eBay isn’t always the best place to find old camera gear it is a good reference for some prices. Search around and you may find some incredible deals. 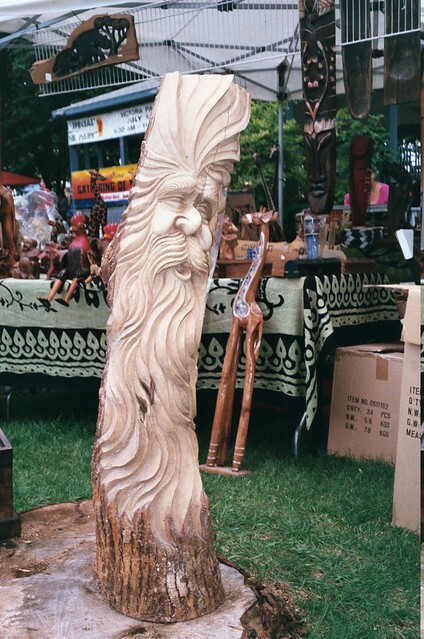 Check out yard sales as often as you can. Not only can you find great deals, but you also have the chance to look closely at the camera and inspect for any issues. To give you an idea of the types of deals you might find at yard sales, I got a Pentax Espio 80v, an Agfa Optima1a and a Yashica compact all for $5. I got rid of the Yashica because it was gummed up with soda. More recently I got a Nikon FE with a 50mm lens and a Minolta XG1 with two lenses and a tele-converter for a grand total of $20. Another place to look is in thrift shops, you will often find really good deals. The better equipment is usually kept in locked cases, but you can find some decent stuff out on the shelves to. I suggest that you check online before buying the cameras in the cases just to make sure they aren’t trying to charge too much. I have seen some nice compacts for $2-$5. You can also look closely at the cameras in the thrift shops, if they don’t let you, just walk away even if it is the most wonderful looking camera around. Some camera stores also have a selection of old film equipment. While they will let you look at the equipment, it is usually very clean. The prices will usually be high, but that is often worth it as it may come with a CLA (Cleaning, Lubricating and Adjustment.) Don’t be afraid to ask if that has been done and if there is a warranty, sometimes you will get that as well. If it comes with a CLA and warranty then the camera is probably well worth paying for the extra premium for as it will last you a long time. Finally there are online sources like eBay, Craig’s List, or Kijiji and many more. Usually you can get a chance to inspect the camera if you go through something like Craig’s List or Kijiji, normally eBay purchases are more awkward. One of the first things to do is, look closely at the lens and viewfinder and make sure there aren’t any scratches or there isn’t any fungus. On a compact, rangefinder, or viewfinder camera if there is dirt and/or fungus in the viewfinder it isn’t a big issue because you’re not looking through the lens but still look closely at the lens. If it is an SLR and you see scratches or fungus, remove the lens and check to make sure there isn’t anything wrong with the lens. If the lens is clean then it is probably just in the viewfinder, so no need to worry. Next look at what kind of batteries the camera uses and are they readily available. Most SLRs use a variety of small special batteries, my Nikon FE and Minolta XG1 use a pair of small AG13 button cells, while my AE-1 used an old 6v mercury battery which is the same as an alkaline L1325 battery that you can usually get for a reasonable price at a hardware or camera store (an they last a long time.) Some SLRs and a lot of compacts use AA or AAA batteries. My Canon SnappyQ and Kodak Star 435 use AA batteries. If you can find a camera that uses AA or AAA batteries you’ll be laughing because they are cheap and readily available, however sometimes the battery life is not as good as specialized batteries. My Canon Sure Shot WP-1 and Pentax Espio 80v use a special 3v CR123A Lithium battery. I think the cheapest price I found for the CR123A was around $18 for one battery. Then there are some cameras that don’t need batteries. The Kodak Star 435 only needed the batteries for the flash, otherwise it worked without. The Agfa Optima1a didn’t use batteries but could automatically adjust the aperture and shutter speed. Then the Kodak Instamatic X-15F also didn’t use batteries. Now that you know some of what to look for, go find a camera. First think about what you want to do with the camera, a beautiful Leica, while amazing isn’t the best for the casual point and shooter or someone who wants ease of use or automatic modes. If you are just used to point and shoot then I recommend finding a decent compact camera that does all the work for you. I recommend looking at one of the more advanced compacts with zoom, autofocus and automatic exposure. There are many out there but to name a couple the Pentax Expio 80v and Olympus Stylus Epic are both excellent. If the seller can’t give you any information take the time to look for the manual online. If you are an advanced shooter with some knowledge of how aperture, shutter speed and ISO/ASA work then you’ll probably want something with more control. To gain that control you’ll want an SLR, Rangefinder, or compact camera with some form of manual adjustment, but you will also want ease of use for your first film camera. For the ultimate ease of use an advanced compact would be perfect. Several people on Twitter recommend the Olympus XA with aperture priority. Some rangefinders like the Minolta Himatic series or the Canon Canonet offer a small amount of automatic controls usually in the form of aperture priority where you set the aperture and the camera sets the shutter speed. There may also be full automatic or shutter priority rangefinders as well as some may have autofocus, but most are manual focus. With some rangefinders you can also change the lenses like on an SLR. Then there are the SLRs. You can get anything from aperture priority to full automatic with the ability to view through the lens and change lenses. SLRs along with compacts are very easy to find for a reasonable price. My Nikon FE and Minolta XG1 are aperture while my Canon AE-1 is shutter priority. They are also manual focus however, you can easily find autofocus cameras like newer Nikons, Canon EOS cameras. Now to answer this I will start by saying that I do shoot digital a lot more than I do film and that is mainly for the convenience, however as mentioned in my previous post, I am moving more into shooting film. Now, I have a few reasons, a lot are sentimental or nostalgic reasons, but some are comfort and usability reasons. I was featured on Shooting Film in their “5 Things I Love About Film“. The grain, there is something pleasing about the grain of film, even the grain in ISO 3200 film is pleasant to look at. It is something “organic” and fits in with the picture, where often digital noise is harsh, rough edged and even worse, spots of blue, green or red. 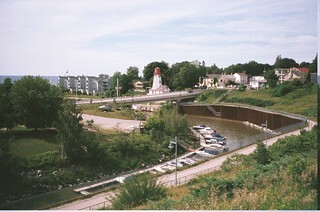 Handling of film. There is something soothing and exciting about handling a canister of 135 or a roll of 120 film and loading that sticking a memory card in the camera just can’t match. Same thing goes for handling the negatives versus putting the pictures on the computer. The waiting to see the pictures. Since there is no display and the film needs to develop, you don’t get a chance to see the pictures ahead of time. Waiting to see the pictures can make it more exciting and make you value and carefully choose each shot before you take it. The social aspects. Sure with digital you can get the pictures up on your favourite social media site very quickly and get “likes” for them. But with a film camera you get true social interaction before even taking the shot. Everyone is curious about the camera and why you’re using it. Even after finishing a roll, if you get prints made, you get to see the real reactions of people to your pictures. Well, that pretty much covers my reasons for using film, it’s a fun and social experience that can’t be easily matched. Next we’ll take a look at getting started and what you need to get started. First of all, welcome to my blog following my adventures in film photography as I move more and more into shooting film. Film photography has been making a comeback as of late thanks in part to companies like Lomography and Japan Camera Hunter, and various blogs like PDExposures and Shooting Film becoming more high profile, as well as a large variety of Youtube channels that either focus on film photography, like Matt Day Photo, or feature film related segments, such as DigitalRev TV, and also the “hipster” movement. With all that, a lot of nostalgia and some help over the last couple of years from friends, online and locally I have decided to start a return to serious film photography. This adventure actually started around two years ago when I picked up three cameras at a yard sale for $5. I had seen an old Agfa Optima1a at the local Lion’s Club yard sale and offered them $5 for the camera, not knowing what it was, when all of a sudden one of the workers came up to me and handed me two more and said just take them. 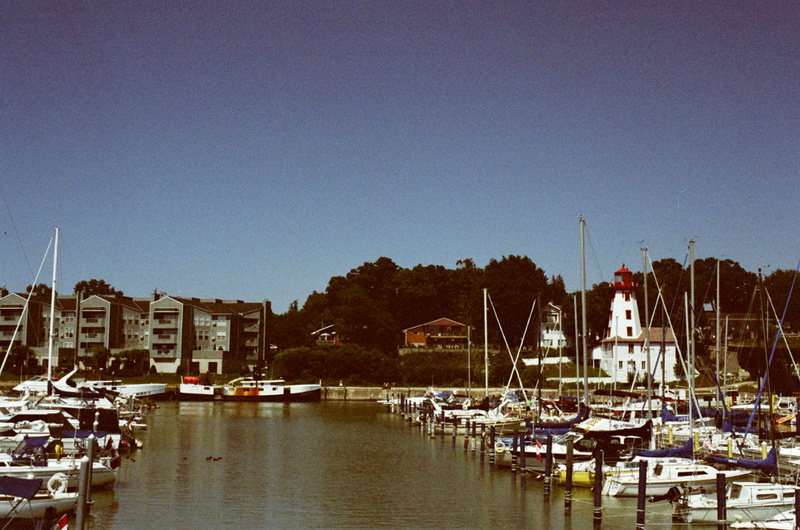 The other two were a Pentax Espio 80v and a Yashica point and shoot. I kept the Pentax and Agfa and got rid of the Yashica because it was gummed up. Later in 2013 I received a Canon AE-1, from a friend on Twitter, to replace my old one which had jammed up around ten years prior. Since then I have acquired several different film cameras including a Nikon FE, Minolta XG1, a Canon WP-1, and even an old Kodak Instamatic. That is all and good, but in my opinion, why collect cameras if you’re not going to use them. So in this blog I will be featuring most of the cameras in my collection minus two that don’t work and the Instamatic which uses 126 film which isn’t available anymore. Along with featuring specific cameras from my collection I am going to discuss why I still like to shoot film, why I think everybody should shoot film along side their digital cameras, and give tips and advice on getting started in film photography. Login with your Social Media name.